You are here: Home / Mystery Shopper Jobs / How Can I Make Myself a Favorite of Schedulers? do it right away. You should never cancel an assignment lightly, but anyone can have life happen. Don’t wait until the day the assignment is due (or worse yet, the day after) and then cancel. Give the scheduler time to find someone to replace you. When you have an emergency, suggest someone else to do the shop, if you can. Do you have a friend who could do the shop for you? Don’t have them do the shop without talking to the scheduler first, but suggesting someone may make it easier for the scheduler to reassign the shop. Recommend other shoppers. Can you suggest others who can help with those hard-to-fill jobs? Schedulers will appreciate the referral. Of course, you should only suggest shoppers who are reliable and will do a great job. You may not want to suggest people in your immediate area, but if you have a friend or relative in an area where you see shops going unfilled, why not suggest them? Email when you have questions. Most schedulers prefer email to phone calls, so email with questions about the shop or other issues. Don’t wait until the last minute to contact them with questions. Make sure the scheduler will have time to get back to you. Communicate with the schedulers you work with and let them know about anything that will affect getting your reports done on time. They want and need to know about things that affect their ability to get the job done. If you have an issue (e.g., weather, illness, car trouble) let them know ASAP so they can work with you to meet the client requirements. Keep your emails professional. Use proper spelling, grammar and punctuation. Make both the tone and content professional. Fully identify yourself: name, address, phone number(s), email address, and where you shop. Many shoppers use a signature file with all of that information, as well as any certifications they hold. If you are writing about a specific assignment, include details about the mystery shopper job such as job number, location, due date, etc. 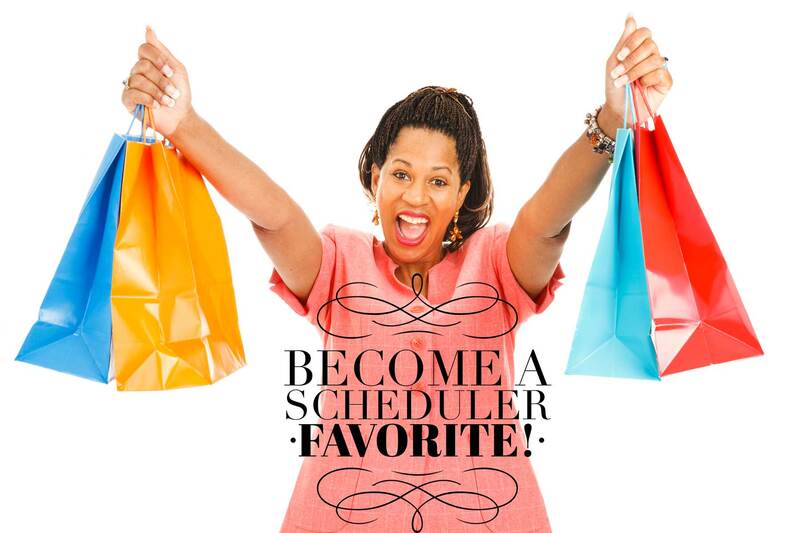 Schedulers remember the shoppers who are a joy to work with, and they will want to work with you often. Be the shopper they love, and you will get all the work you can handle! « Can Anyone Become a Mystery Shopper?